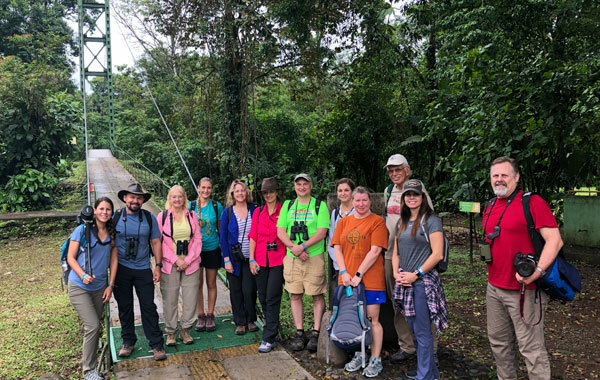 In late November 2018, on a day like any other in Costa Rica’s dry season, representatives from nature and birding organizations grabbed their day packs and set out into the forests of Sarapiquí. Their mission: explore not only its abundant biodiversity and conservation history, but also its potential as a valuable field site for bringing together their memberships around a fundamental value of nature preservation. 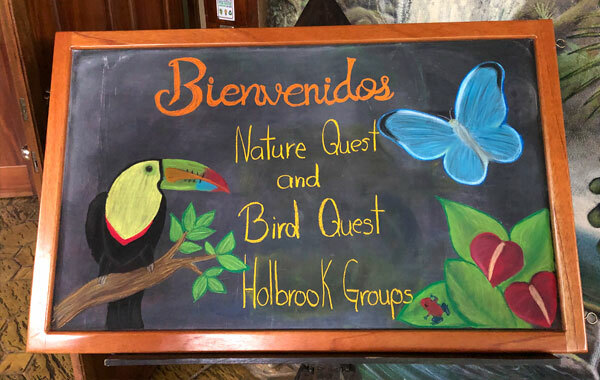 Starting in 2017, Holbrook Travel has offered an annual expedition to Costa Rica designed to familiarize leaders from nature and birding organizations – including zoos, aquariums, and Audubon chapters – with the kinds of opportunities available for international group travel. “It’s a great chance to expose potential leaders to how group travel operates in the field – what role guides provide, how logistics are handled, and how we incorporate educational pieces into our programs,” explains Stefanie Plein, one of Holbrook’s specialty travel consultants who attends the Quest programs annually. But the benefits are not purely logistical: the biggest takeaways from the Quest programs stem from the building of relationships over shared interests. Representatives from like-minded organizations have the opportunity to network among themselves, finding common ground in the challenges they face in their field, and the chance to share the strategies and practices that worked well for their own initiatives back home. Some even brainstorm ways for their organizations to collaborate in the future. This kind of relationship-building is at the heart of why travel is one of the most meaningful and enduring ways to bring people together. In the case of nature-focused group travel, unity is inherent: like-minded people choose to embark on a shared experience motivated by their common beliefs. But the kinds of interactions travelers have in the field can promote even stronger affiliation, especially as they relate to a birding or nature organization’s core mission of conservation. Costa Rica, in particular, is an ideal setting to bring a conservation narrative to life. By the 1980s, Costa Rica had the highest deforestation rate in Latin America – but today, 27% of Costa Rica’s land is protected by law, and the country is a world leader in conservation initiatives. This story can be told in nearly every corner of the country by meeting with local citizens, scientists, and research organizations that have helped change its course. Interactions like this bring purpose and context to the sites visited. 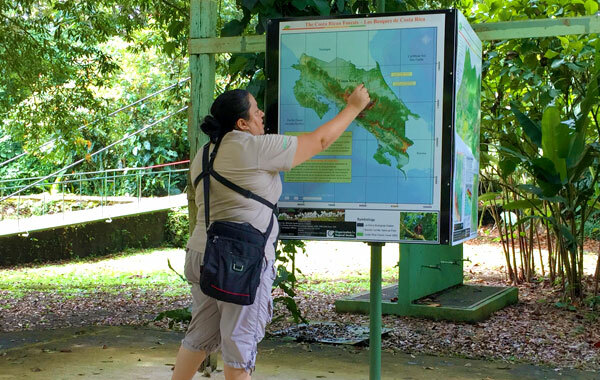 On the Quest programs, participants learn about the importance of biological corridors from biologist Willy Pineda, then explore vital forests that are a part of those very flyways. 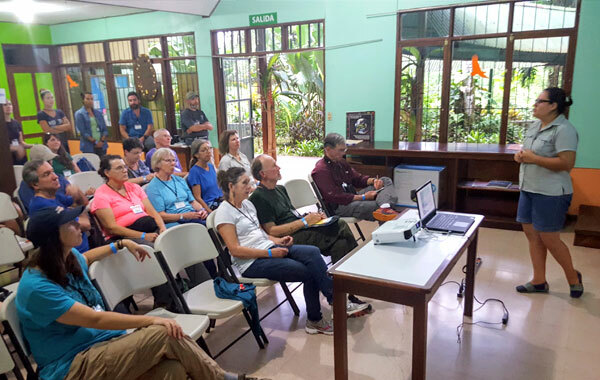 They visit the Organization for Tropical Studies’s La Selva Biological Station to learn about its history of environmental research since the 1960s, then witness the positive results firsthand. For nature and birding organizations, this unity of relationships and beliefs is vital for growth and development. While some organizations opt to build a donation into the cost of their travel program, many others simply rely on the power of group travel to bring people together and shift their beliefs into actions. Whether it’s to thank donors for their support, raise funds from membership, or simply give constituents the opportunity to see the wildlife they’ve only ever studied in a book, group travel can be a transformative tool for success. Are you a part of a birding or nature organization interested in educational group travel for your membership? 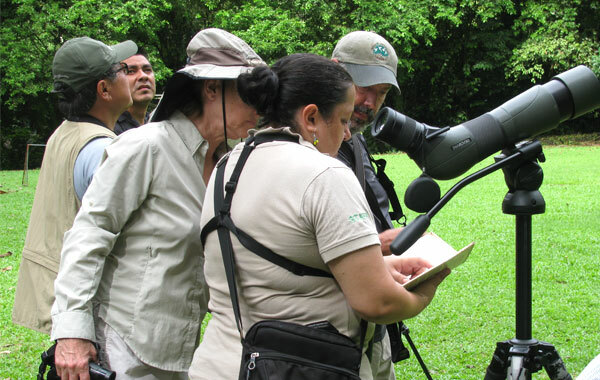 Join us in Costa Rica December 11-15, 2019 for this year’s Nature Quest and Bird Quest! SPECIAL OFFER: if you bring back a group of 10+ participants to any of our destinations, we’ll refund you the land cost of this program! Must place booking by December 31, 2020. We provide a similar program for educators and administrators for student travel. 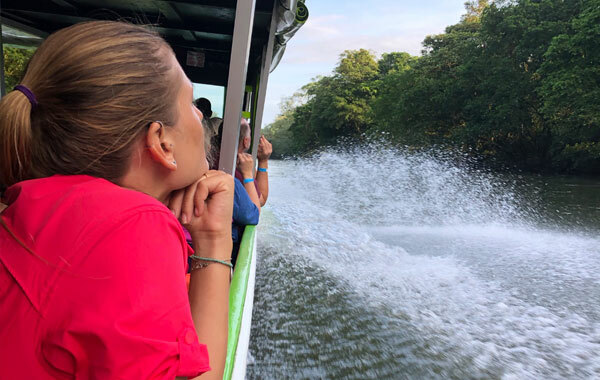 Join our Costa Rica Global Studies Workshop June 28-July 2, 2019.